Mike Rother in his book Toyota Kata implied there was an invisible side to why Toyota was so successful over the years. As we we have explored the transitions from Lean to Agile and now to Devops we often fight the visible versus the invisible in accomplishing our goals. This presentation will take a look at what Kata meant at Toyota, Alcola over the years and bring it full forward with companies line Netflix and Etsy. Continuous delivery is an end-to-end process and orchestration is the engine that drives continuous delivery. Automating the continuous delivery pipeline starts with understanding the process and of the entire toolchain. It sounds daunting, but it can be approached in stages to keep up with the demands for application delivery speed. Boyd Hemphill, Director of Evangelism, StackEngine. Boyd is one of the great Austin DevOps folks. He runs the Austin DevOps Meet up Group, helps with Austin DevOps Days, Container Days and so much more. Like John Willis and Andy Pemberton, I have seen Boyd present a few times and he also just really brings a great talk. Boyd presented on “HomeOps, lessons he learned about DevOps while doing work at home. It is funny, insightful and a really great presentation. DevOps is great. You can see the benefits. All the success stories have you champing at the bit to become your very own Unicorn. Oh, but you are smarter than that. You know that every one of those success stories comes with many, often hidden, trials and tribulations. HomeOps is the way I have become familiar with many of DevOps models such continuous delivery, lean thinking and cultural impact. Bringing these models to work with the ability to anticipate problems helped me save nearly $1.0m in costs while opening $1.8m in revenue. Come gain some of the missing insight to your continuous delivery journey. Allow me to share an intimacy: I an experienced technology writer. Also, I am a container newbie. But, I understand that containers are an important step forward in computer virtualization. Knowing the stuff is a whole lot better than not knowing it. So I took the plunge and decided to get down and dirty by building a containerized microservice. I do have a method. I am a learn by doing guy. First I get the concepts down, then I get hands-on and write about it as I go. I assumed there must be a lot of Hello World type stuff out there to get me up to speed with the basics. Then, I could take things a bit further and build my microservice container on what I learned in the Hello Worlds. I mean, it can’t be that hard, right? It turns out that making my first container was a journey into pain and agony. No human should have to go through such an ordeal. So I am going to share my story with you in grueling detail so that you don’t have to experience such torture… ever. We have another 5 or 6 sessions/speakers that we are finalizing right now and will announce next week. 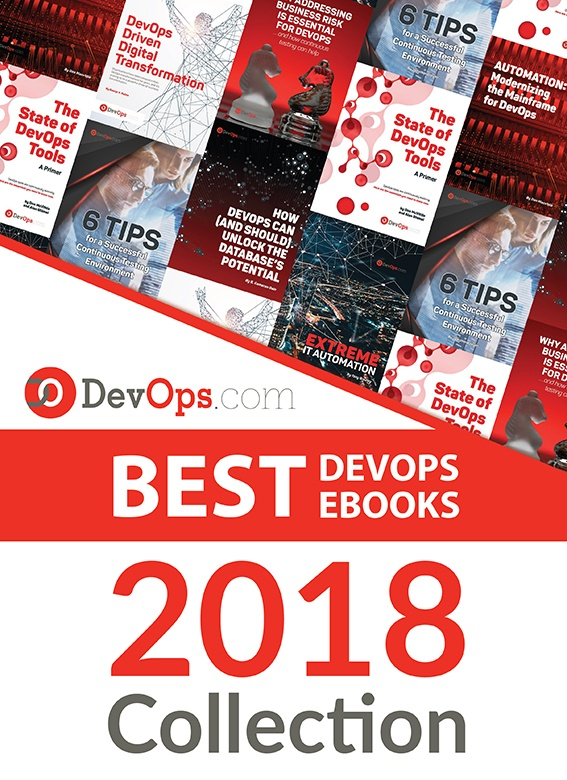 However, there are still one or two slots open and if you are interested in presenting you can write me at editor@devops.com with contact info and we will contact you. Besides the great sessions and speakers, we will be featuring demos of Jenkins, CloudBees, IBM BlueMix and more. Also lunch, refreshments and more will be served. There is plenty of free time built in for networking as well including caricatures by the ROELBOB team and more surprises in store. We will also be announcing additional sponsors in the coming days. So if you are in the Southern California area and into DevOps, CD, Jenkins, BlueMix or want to learn more, this is a can’t miss event. You can get more info here. You can register for the event (there is a $99 charge for the day) on Eventbrite. We hope to see you in Southern California on December 3rd.